The Loire river has its spring at the foot of the Mont Gerbier Des Joncs in the Ardeche department. It then meanders through France making a large loop in the centre, gracing the towns of Gien, Orléans, Blois and Tours, hence the name ‘Val de Loire’ given to the area. More recently its name was used in the newly created Centre-Val de Loire region. The Loire continues on its journey to Saint-Nazaire, the final stage before reaching the Atlantic Ocean. The Brass Band Val de Loire, the first brass band to be created in France, was formed in 1982 and took the name in 1999. It is also representative of the Val de Loire being based in Orléans and its members coming from Blois to Chateauneuf sur Loire. It is also on the banks of this regal river at Amboise that the BBVL gained recognition by winning the 3rd prize at the International Brass Band Open in 2014. The Loire is an endless source of inspiration. Painters, writers, musicians feed their creativity from the melting-pot of emotions conveyed by the river. Thibault Vuillermet of Chateauneuf wrote ‘Impressions de Loire’ in 2006 and Julien Joubert, a composer from Orléans, is inspired by the river on a daily basis. 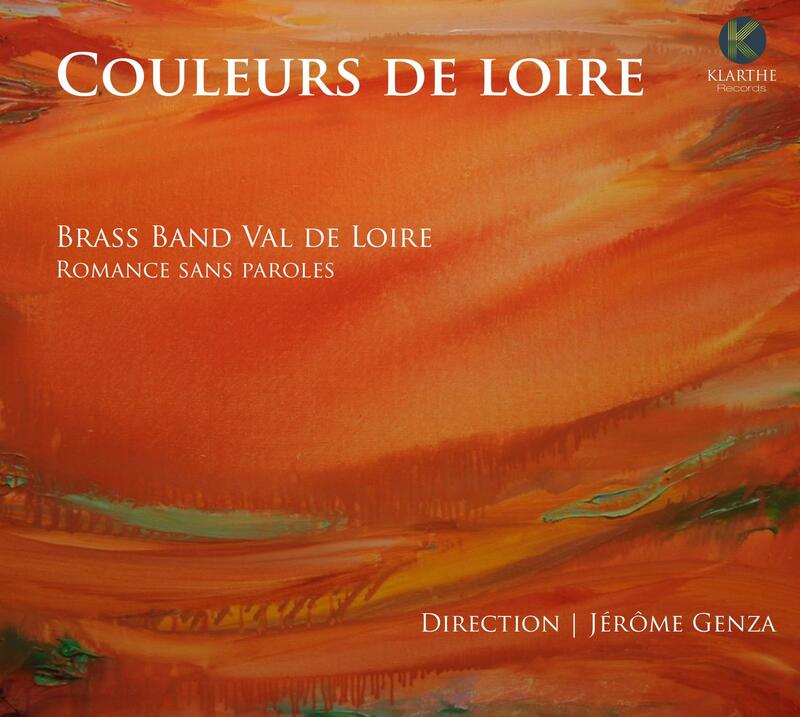 His ‘conte breton’ takes us to the Loire estuary, close to Bretagne (Brittany) and not so far from ‘Grande’ Bretagne(Great Britain), the historic birthplace of brass bands. The Loire’s journey ends in Saint Nazaire but ours is taking us to Scotland with ‘Quatre danses écossaises’ by Malcolm Arnold, a key piece in our musical history. Finally, let’s not forget that the Saint Nazaire shipyard was designed by John Scott, a Scottish civil engineer! 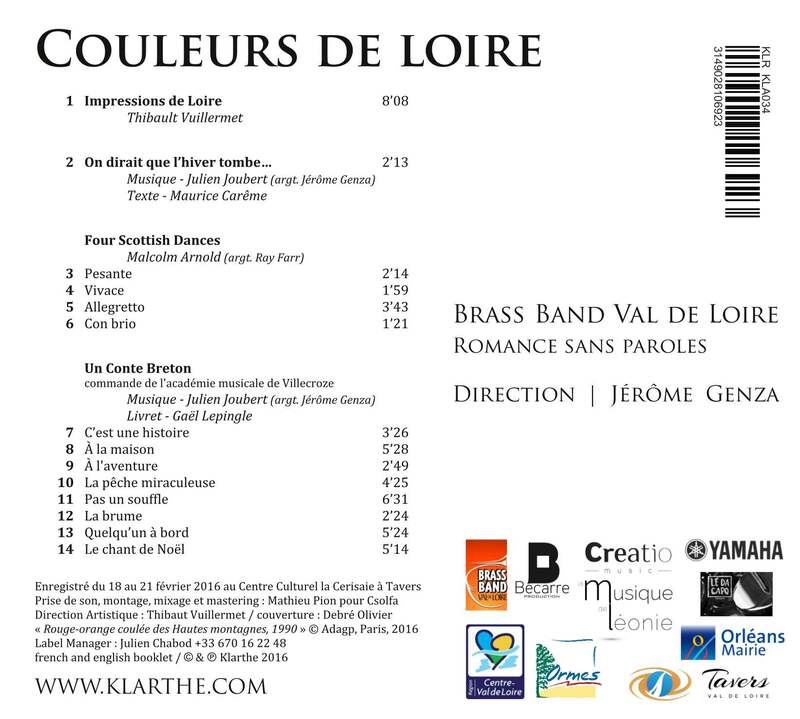 At 34 years of age the BBVL celebrates some of its history, linking its British origins and the inspiration of the Loire, with this album ‘Couleurs de Loire’.